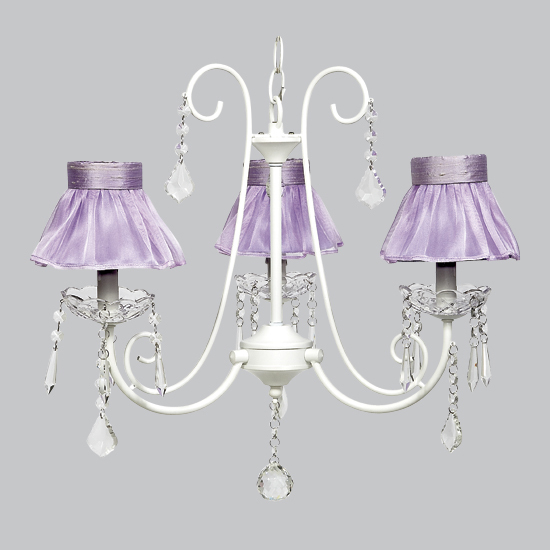 The bliss chandelier in white with lavender sheer shades will add a touch of sophistication and elegance to your room. 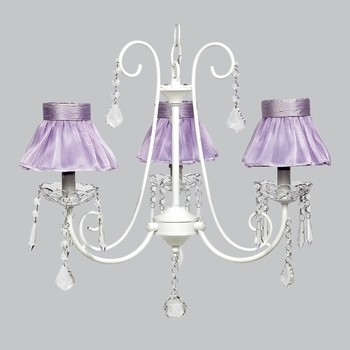 The 3-arm lighting fixture is surrounded in dangling crystals. A perfect size and touch for any decor.